New Zealand’s national Safer Boating Week (October 13-20) has an important new message for boaties: If you can’t call for help, we can’t rescue you. “Have waterproof communications with you, and a marine VHF radio is usually best,” Safer Boating Forum Chair, Lindsay Sturt, said. For seven years the Forum has successfully focused on lifejackets. As the number of recreational boaties has increased over that time, the percentages carrying lifejackets on board and those wearing them have also increased significantly, and there is strong awareness of lifejacket messages. At the same time, only 38% of boaties take two waterproof ways to call for help and the most common device they take is a cellphone. “Now is an opportune time to add our messages about the importance of carrying waterproof communications,” Mr Sturt said. On Friday, October 13 in Whangarei, Auckland, and Wellington, boating organisations’ leaders are jumping into their harbours, while wearing lifejackets, making a splash, and drawing attention to Safer Boating Week. One of the jumpers in Wellington, Maritime NZ’s Director, Keith Manch, will also have a VHF radio attached to his lifejacket. In the water, he will be able to call for help. Safer Boating Week is traditionally the week before Labour Day weekend, which is when many boaties start getting back on the water. It uses the slogan “Prep, Check, Know,” to encourage boaties to take simple steps to get their boats and themselves ready before they get back on the water. Prep your boat: service the engine, check and change the fuel, check the battery, and generally give the boat a good once-over. Check your gear: make sure your lifejackets are still fit for purpose and you have enough, service any inflatable lifejackets, ensure you have two reliable forms of communication equipment – usually, marine VHF radio is best, check the marine weather forecast. Know the rules: ensure you know the rules of the road on the water, and check your local bylaws to make sure you understand what the requirements are in your area. 1.26 million recreational boats: 464,000 kayaks, 421,000 power boats, 145,000 jet skis. 19-20 boaties, on average, die each year (based on last five years); though the rate might be declining with 13 deaths last year and 11 to date this year. What’s on in your community? There are lots of activities and photo opportunities around the country – details at www.saferboating.org.nz, and photos from Safer boating Week 2016 are available by calling Maritime NZ 04 499 7318. The Forum is made up of boating and water safety organisations, the marine industry, and central and local government agencies. 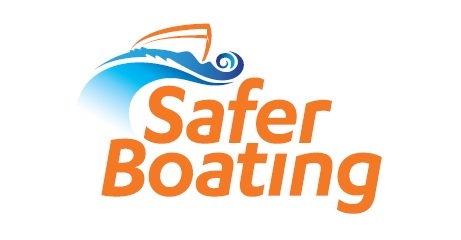 It works to reduce boating injuries and fatalities, and improve boat safety behaviour. Forum members are: ACC, Coastguard Boating Education, Coastguard New Zealand, Drowning Prevention Auckland, Jet boating NZ, Kiwi Association of Sea Kayakers, local authorities, Maritime NZ, New Zealand Jet Sports Boating Association, New Zealand Marine Industry Association, New Zealand Police, New Zealand Search and Rescue Council, New Zealand Underwater Association, Surf Lifesaving New Zealand, Water Safety New Zealand, Whitewater New Zealand, and Yachting New Zealand.